"There is growing concern among aid groups on the ground of potential disease outbreaks," the IFRC statement said. 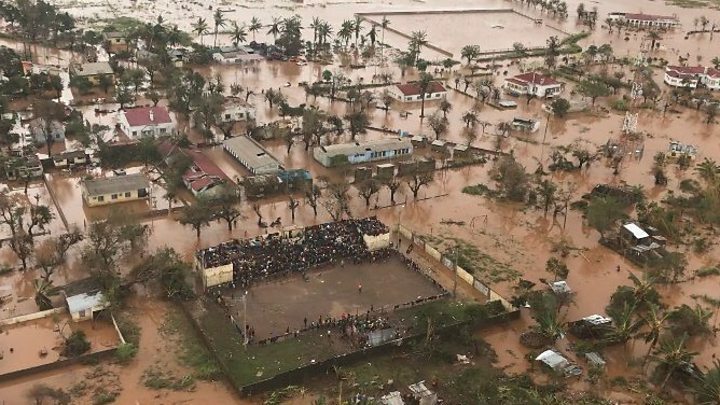 "Already, some cholera cases have been reported in Beira along with an increasing number of malaria infections among people trapped by the flooding." "There's stagnant water, it's not draining, decomposing bodies, lack of good hygiene and sanitation," Henrietta Fore, the head of Unicef who is in Mozambique, told AFP news agency. "We are running out of time, it is at a critical point here," she said, warning that hygiene and safe drinking water were absolute priorities. "The scale of this crisis is staggering," Elhadj As Sy, the head of the IFRC, said after seeing Beira, which was home to 500,000 people. "We can't forget that it is an intimate and human crisis. Tens of thousands of families have lost everything. Children have lost parents. Communities have lost schools and clinics." A spokesperson for the World Food Programme (WFP) said the aid effort was "slow to start, [but]... is now accelerating, thankfully." "We are not yet where it needs to be," he told AFP. 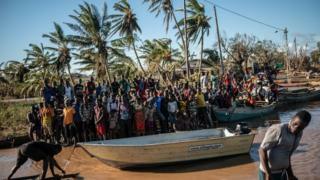 Aid groups said Mozambique has borne the brunt of flooding from rivers that flow downstream from neighbouring countries. At least 65,000 people are sheltering in 100 temporary sites, many of which are in "desperate conditions", according to the UN.